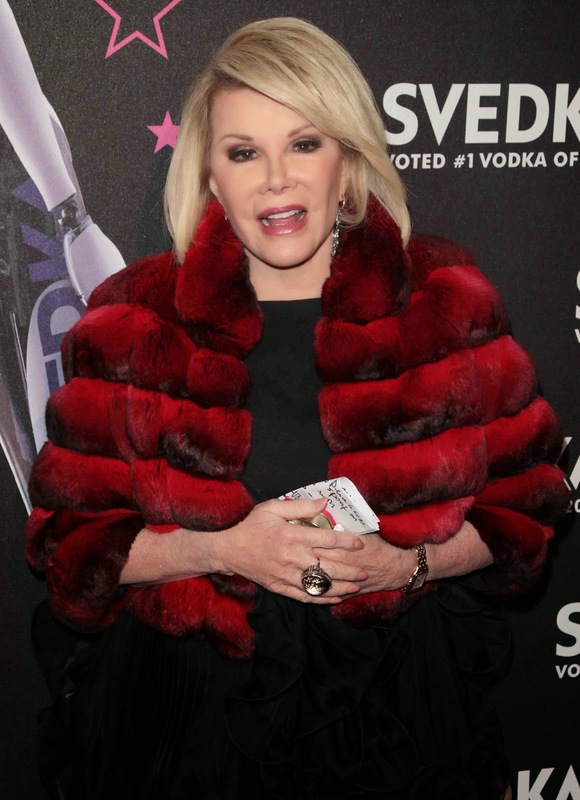 Comedy legend Joan Rivers was rushed to a New York City hospital after she stopped breathing during surgery today. Rivers, who is age 81, was at a New York City clinic for a throat procedure on her vocal chords when the complications occurred, reports gossip website TMZ. Rivers was taken to Manhattan's Mount Sinai Hospital, where her daughter, Melissa, was rushing to her moms side. As I was one of the photographers on the set of The Joan Rivers show at CBS Television studios, I can not imagine this happening. Joan is always full of energy, always ready with a joke and is a non stop worker. We wish her the very best.